Leonine Public Affairs The focus this week revolved around floor activity in both the House and Senate. Both chambers debated and voted on the avalanche of bills that came out of the committees last week in order to meet the March 15 crossover deadline for policy bills. The bills that were on both floors this week address a wide variety of subjects and for the most part there was little controversy. One exception is S.169, which would impose a 24-hour waiting period for the purchase of handguns. On Thursday a motion to strip the waiting period from the bill failed on a 10 to 20 roll call vote, and the bill then received approval on a 20-10 vote. Today (Friday, March 22) is the crossover deadline for “money bills.” As this report is being written, the House Appropriations Committee is poised to vote out the FY2020 General Fund budget. There was a great deal of discussion this week about a proposal by the House Ways and Means Committee to increase the tax on the retail sale of heating oil, propane, kerosene and dyed diesel fuel from two cents per gallon to four-cents per gallon. Environmental and low-income advocates support the increase as the revenue generated would go to the state’s weatherization program. Separately, the House Ways and Means Committee included language in the miscellaneous revenue bill that would maintain the two-cent per gallon tax on heating fuel, but expand the base from which the tax is collected to include all retail sales in Vermont, adding municipalities and non-profits which are currently exempt from the two-cent tax. 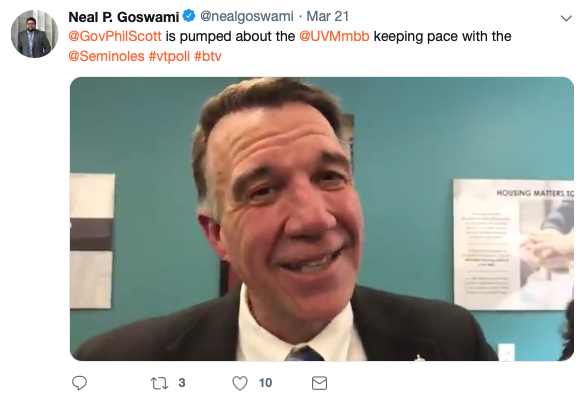 It remains to be seen what will happen with the two-cent increase as representatives from Governor Phil Scott’s administration have indicated that he is not supportive of the proposal. The House Ways & Means Committee approved H.107, which establishes a mandatory paid family and medical leave insurance benefit program housed in the Department of Labor. Under the bill employees would get, on an annual basis, up to 12 weeks paid leave for “bonding,” e.g., being with a newborn baby or newly adopted child, and 8 weeks of paid medical leave. If an employee makes no more than the amount benchmarked as a livable wage they would get 90 percent of the livable wage while they are on leave. If an employee makes more than what is considered a livable wage they would be paid 90 percent of the livable wage amount plus 50 percent of the amount they earn above the livable wage. Relatedly, the House General, Housing and Military Affairs Committee heard from the administration concerning its efforts to gauge interest on the part of insurance companies in insuring the benefits and administering the program, albeit in the context of a joint program with New Hampshire that would provide paid family and medical leave benefits to the two state’s 18,500 state employees and, on a voluntary basis, to private sector employees. Earlier this month the administration issued a Request for Information seeking feedback from insurers on a variety of issues related to its proposal. Six insurers and one third party administrator responded. The administration provided the committee with an overview of the information that it obtained and indicated there is considerable interest on the part of insurers in insuring and administering the benefits. On Friday the Senate gave final approval by voice-vote to a bill that would impose a 24-hour waiting period on purchasing handguns. The preliminary 20-10 roll call vote on Thursday suggests that the Senate has the two-thirds majority needed to override a potential veto by the Governor. This bill now heads to the House for consideration. On Friday the Senate Health and Welfare Committee unanimously approved a measure proposing an amendment to the Vermont Constitution to ensure the right to personal reproductive liberty. This is intended to protect access to abortions. Vermont currently has no laws expressly addressing an individual’s right to access an abortion. The proposal will now be considered by the full Senate, and if approved it will head to the House. 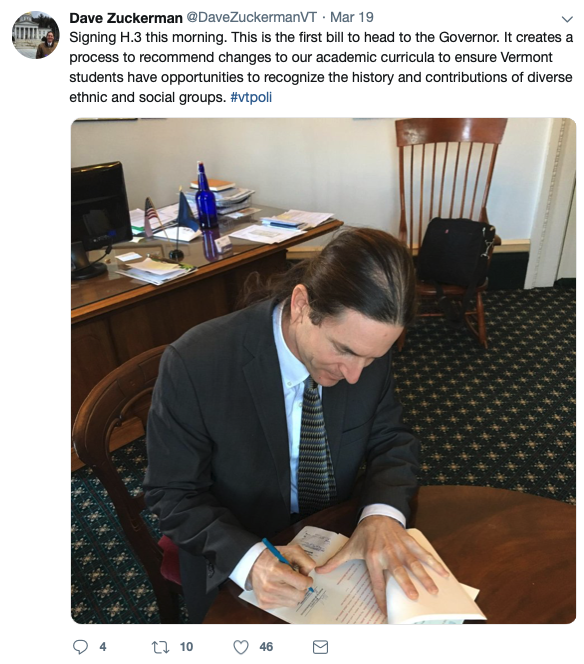 In order to amend the Vermont Constitution, the amendment must be approved by two consecutively elected Legislatures and then approved by a majority of voters in a statewide referendum. The Senate Finance Committee advanced S.149, the Department of Motor Vehicles (DMV) Miscellaneous Bill this week and proposed no changes to the bill that the Senate Transportation Committee introduced as a committee. The bill will be taken up by the full Senate next week. 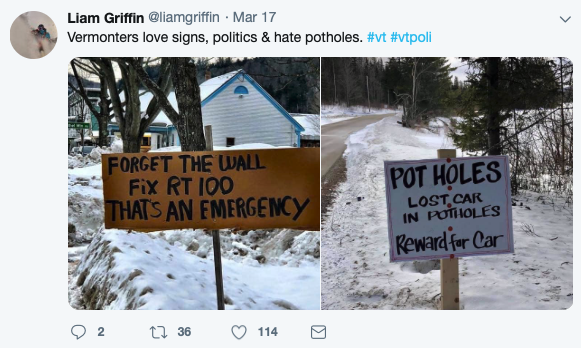 The bill includes numerous proposals to amend DMV laws including the creation of a permit to test automated vehicles on public roads in Vermont and a provision that authorizes auto dealers to have up to 30 days after the sale of a vehicle to submit paperwork to DMV in some instances where the title is held by a lien holder. The House gave preliminary approval to H.529, the Transportation Bill on Friday. The House Ways and Means Committee proposed an amendment regarding electric vehicle charging stations that the full House adopted. Otherwise, this omnibus bill containing the FY20 $613.5 million transportation program and various other changes to DMV laws was approved unchanged. The bill will be up for final approval on the House floor next week. Link to breakout of $613.5 million transportation program. Source: Leonine Public Affairs, Montpelier, Legislative Report Week 10. March 22, 2019. leoninepublicaffairs.com. Through a special arrangement with Leonine, Vermont Business Magazine republishes Leonine's legislative report on vermontbiz.com.